Pam Slim and her family (from right) husband Darryl, son Joshua and daughter Angela. When I heard these words from my friend Greg Hartle three years ago, they made my heart skip a beat. I have been a business coach for over 20 years, and in 2009 helped spearhead the movement of people leaving corporate jobs to start their own enterprise with my book Escape from Cubicle Nation. I have worked with thousands of entrepreneurs, helping to launch and grow many different types of businesses. I love this work more today than when I started. Yet as I spoke with friends and fellow small business influencers, all of us were getting concerned that business owners were drowning in an ever-growing sea of information, online courses and sales pitches. Despite more resources than ever, business owners were still stuck with the same problems. How can our brands stay relevant in a world with too much content? How do we prioritize where we spend our marketing dollars? How can we be relentlessly focused, as a small business ecosystem, on removing obstacles that get in the way of small business success? How can we create equitable and inclusive entrepreneur ecosystems that drive systemic change? I became obsessed with answering the question how do you provide solid, effective business advice in a way that actually solves the problems and builds the leadership capacity of small business owners? So in the summer of 2016, I opened a brick and mortar small business incubator on Main Street of my home town of Mesa, Arizona. 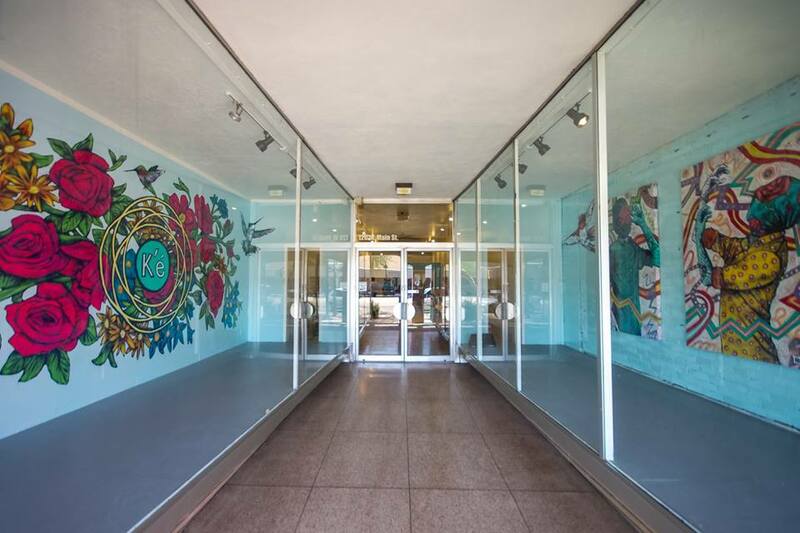 I spent a year engaging with the broader community, talking with business owners of all sizes and shapes and working with everyone who supported them from the city to the regional arts center, non-profits and small business consultants. I connected with peers on the ground in Detroit and San Francisco and New York and Austin and Fargo. At the same time, I engaged with my global audience of business owners, and those who support them. The result of this work is what I believe is a truly innovative and collaborative project which is designed to support both the small business owners who want to succeed, as well as the companies, incubators, organizations and professionals who serve them. Engage a diverse, engaged local and global community of small business owners who conduct a whole series of “experiments” designed to understand and overcome these obstacles and report back to The Lab through an organized data collection method. 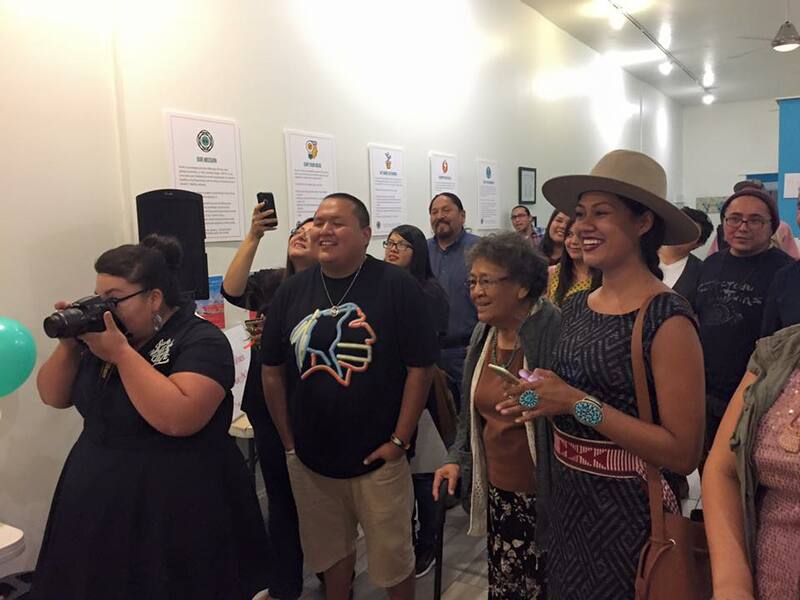 Community members from a Grownup Navajo event, enjoy time together at K’é. 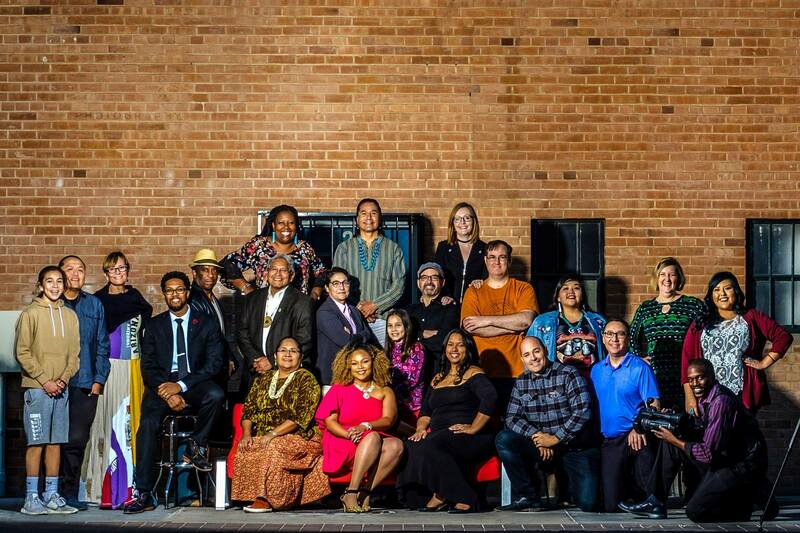 The name K’é (pronounced “keh”) is a Diné (Navajo) word, meaning “system of kinship.” It was chosen by Pam’s husband Darryl, to reflect the feeling you have when you are deeply connected to others, you feel your kinship, and you treat each other as family. Pam and Darryl like all members of the community to feel welcome as they walk through the doors of K’é. Once we got the key to the new space, there were a lot of physical renovations to complete. With our Indiegogo campaign, over 230 small business owners and our “Trifeca of Awesome” corporate sponsors Tuft & Needle, GoDaddy and Infusionsoft banded together to raise over $40,000 to make physical improvements including wall and floor demolition and repair, painting, and the acquisition of furniture and equipment. We believe that to be an organization that truly reflects the needs and wishes of its community, you have to spend time connecting with and listening to the community, before designing programs. So in the first year that K’é was opened, we met with many members of the local community including city government, non-profits, small business owners, community activists and fellow small business service providers. And scores of local small business owners artists, activists and filmmakers. 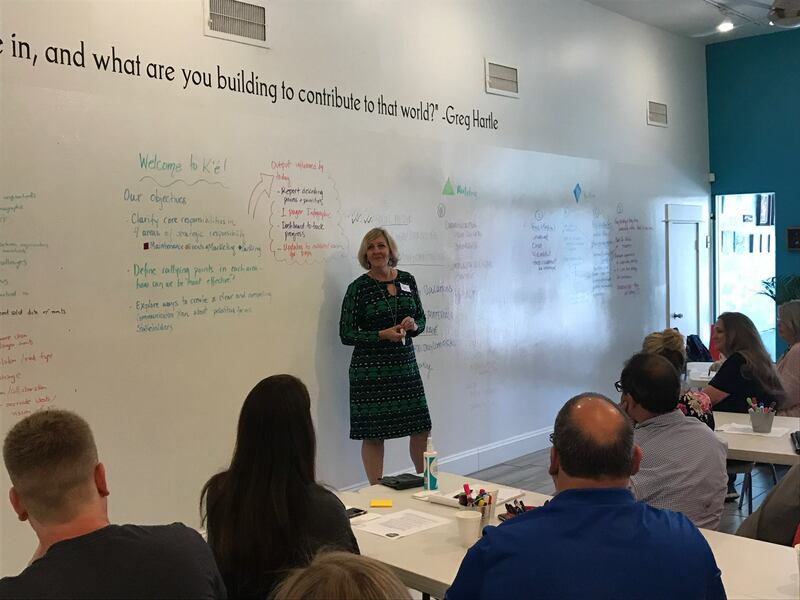 From these conversations, we envisioned a brand new, innovative model for small business learning and research, called The Main Street Learning Lab. In this lab, we will focus on developing creative solutions to core business problems, by conducting a large number of experiments by small business owners from all communities, economic situations and backgrounds in the small business market. In order to develop a baseline of research for our programming, we wanted to gather rich, helpful data from small business owners. In partnership with the Cloud Software Association and over 100 influencers and organizations such as Guy Kawasaki, Mari Smith and the National Association of Women Business Owners, in November, 2017, Susan Baier of Audience Audit, Chris Lee of Purple CRM and I produced Crack the Challenge Code, a survey with over 2,000 small business owner respondents from the U.S. and Canada. From this survey, we analyzed the data for some unique, academically valid research about attitudes small business owners have toward obstacles, their defined problems, what help they are looking for, as well as tens of thousands of points of data about where they are currently looking for information, what products they use to run their business, and who they consider key influencers, events and learning experiences. This data is the basis for research and program development about ecosystems, community building, and small business solutions . We are building strategic partnerships with organizations that share our mission, as well as writing grants to expand the work we are doing at the lab.